I'm sitting here gorging myself with chocolate-covered raisins from Costco, thinking about the day when my sweet tooth will finally disappear. But really it's never going to happen. And I'm ok with that. I usually crave sweets day and night, but on some days savory stuff creeps into my mind. On other days, I crave both sweet and salty, and either I eat both or I can't fall asleep. 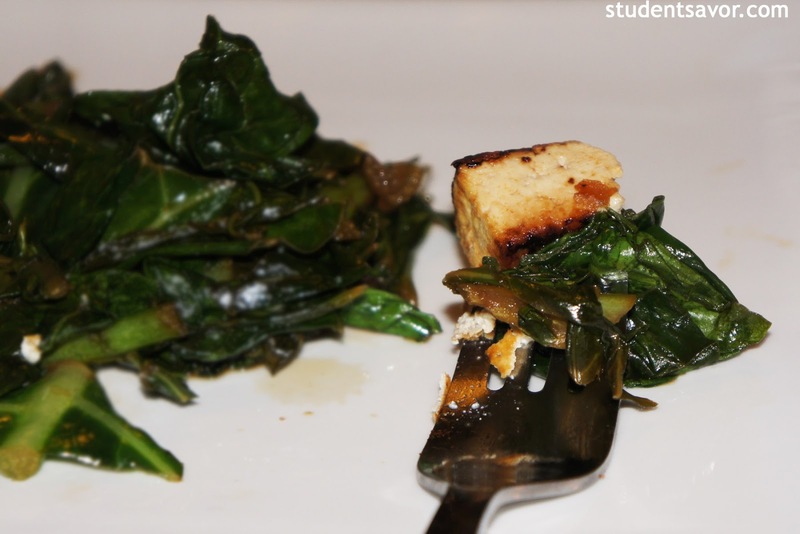 Well today was one of those days, so I decided to cook some tofu and collard greens; then I decided to eat raisins for dessert. 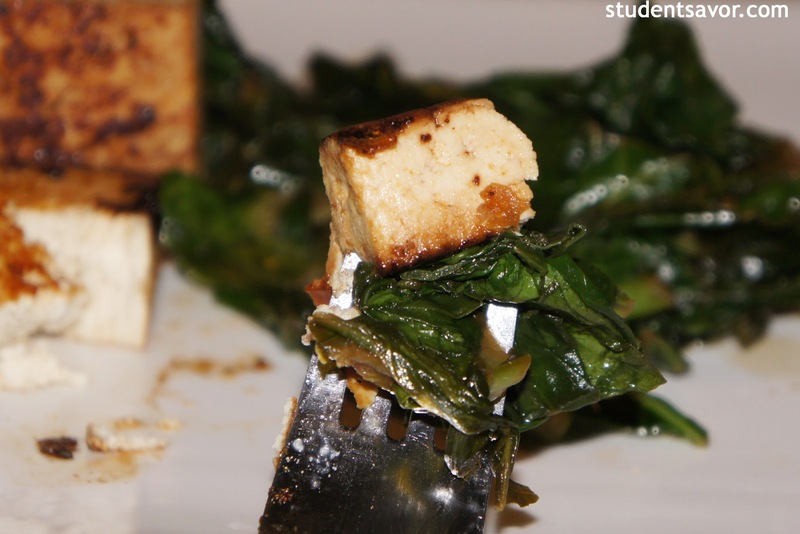 This recipe for tofu is delicious--and healthy I'm sure--and easy to make. It also doubles as a salad topper, so my lunch for tomorrow is set! Enjoy! Active time: 15 minutes. Total time: 75 minutes. 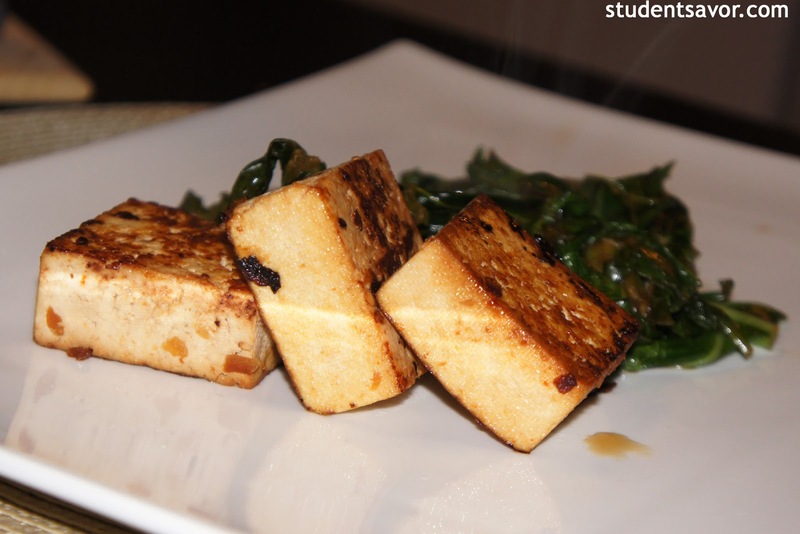 cut tofu in half lengthwise, then cut each piece into 6 slices. Place tofu in-between four sheets of paper towels (two on top and two below) and on a plate; cover with another plate. Place a can of beans or soup on top and chill for 30 minutes, or until paper towels soak moisture. In a medium bowl, combine soy sauce, oil, Sriracha, lime juice, ginger and shallots. Place tofu in a large Ziploc bag and add half of the marinade. Toss gently to coat and chill for another 30 minutes. Heat a non-stick skillet or wok over medium heat. 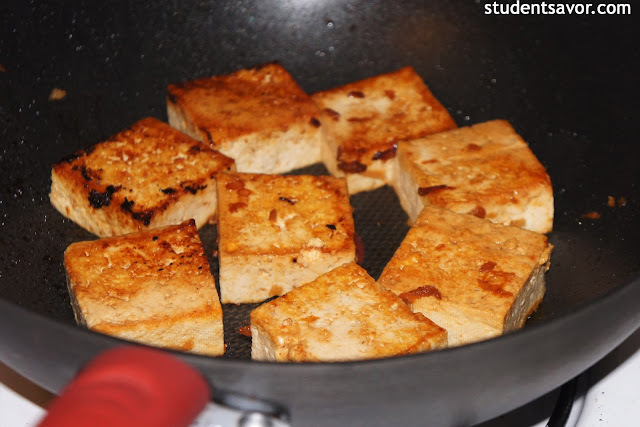 Working in batches, cook tofu in a single layer until golden brown, about 2 minutes on each side. 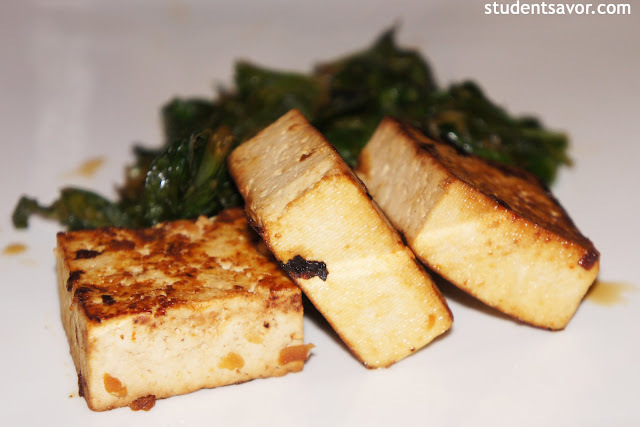 Transfer to plate and repeat with remaining tofu. Keep pan and gradually add greens with the remaining marinade. Cook until liquid is absorbed, 5-8 minutes. Serve with tofu.